Ambassador Woody Johnson's aggressive pitch to Washington's ally across the pond seemed aimed at pressuring the island nation to buy more of America's new fifth-gen fighter jets. Speaking to reporters at the US embassy in London, the envoy urged the UK to do better on defense, even at the expense of other government spending. "Healthcare is always going to be an issue; education is always going to be an issue; transportation and infrastructure are always going to be issues, etc. But how important is it to defend yourself?" Johnson asked. "I came over here…my mission is security and prosperity, and you can't really have prosperity unless you have security," the diplomat added. "You're going to have to make trade-offs and go through the emotional and practical and philosophical arguments in terms of what you want to do, what you want to be, how important is defense?" Seemingly taunting the US ally, Johnson insisted that it comes down to how the UK is "perceived," not only by the US, but by Russia and other countries as well. According to The Times, Johnson's remarks were related to Britain's floundering commitment to purchase some 138 F-35 Lightning II fifth-gen stealth fighter jets from the US. Britain has already bought 15 of the advanced planes, and committed to buy another 33 by 2025, but has yet to set a concrete timeframe. This is not the first time Johnson has asked his British allies to step up on defense. Last September, the billionaire Johnson & Johnson heir accused the UK of spending a "minimum" amount on its military compared to the US, which he said spent "twice [as] much" and could and "should spend more." 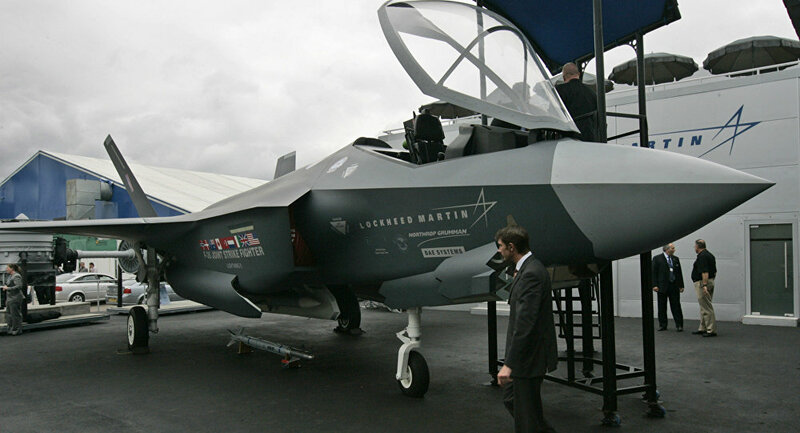 Lockheed Martin's F-35, touted as a 'do it all' next-gen fighter aircraft has faced skyrocketing costs, delivery issues and quality control problems. The total cost of the F-35 program over 60 years has now risen to at $1.6 trillion and continues to grow. Brits didn't seem to know quite what to make of the US ambassador's remarks. Now we have the US ambassador to the UK — Woody Johnson — advising that Britain should increase defence spending at the expense of the NHS. — Dr Lauren Gavaghan (@DancingTheMind) 15 мая 2018 г. Tell you what Woody Johnson, US Ambassador to the UK, if you tell your Govt to stop waging war on everyone who looks at you the wrong way, we could decrease spending on defence & spend more on the NHS. How about that for a better way to spend taxpayer's money? — RickGH2015 (@RickGH2015) 15 мая 2018 г. — David Shariatmadari (@D_Shariatmadari) 15 мая 2018 г.